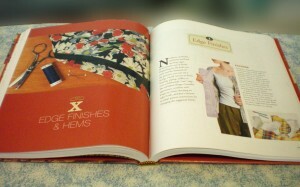 Threads magazine has long been an excellent resource for dressmakers. 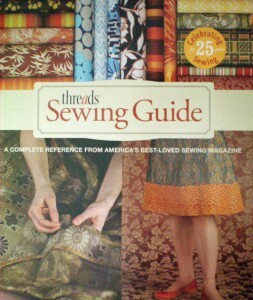 Now they’ve put together an all-inclusive sewing guide that will benefit everyone from novices to experts. This book covers many topics and has something for all skill levels. 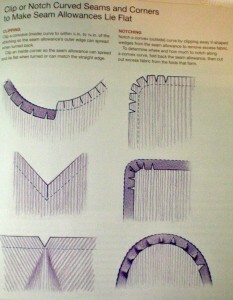 It even touches on couture techniques, though there are entire books devoted to that subject elsewhere. The directions are easy to understand and the illustrations are both clear and colorful. They do a good job at demonstrating the techniques being discussed. The book also deals with obscure topics that you’ll be hard-pressed to find elsewhere, such as how to pick the right elastic for your project, how to create and sew bias binding, and how to make your own embellishments, like fringe and piping. This kind of information is hard to find! There isn’t much to dislike about this book. I suppose it might have been better if it was spiral bound, but the manner in which it’s bound does allow it to stay open, so I can’t complain too much. 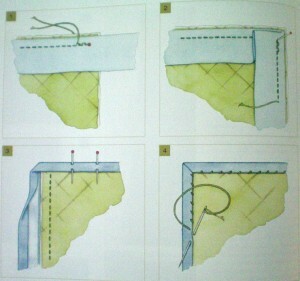 This is a handy guide to sewing. 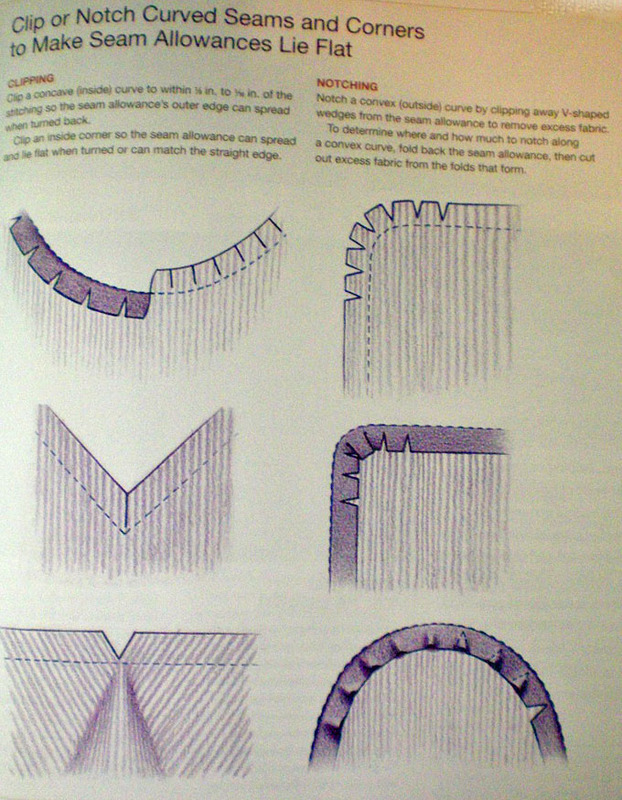 It covers practically every sewing technique you could want to learn. It’s easy to understand and it’s well-illustrated. It’s from Threads! What more do you need to know? Oh, yes—it’s also affordable. 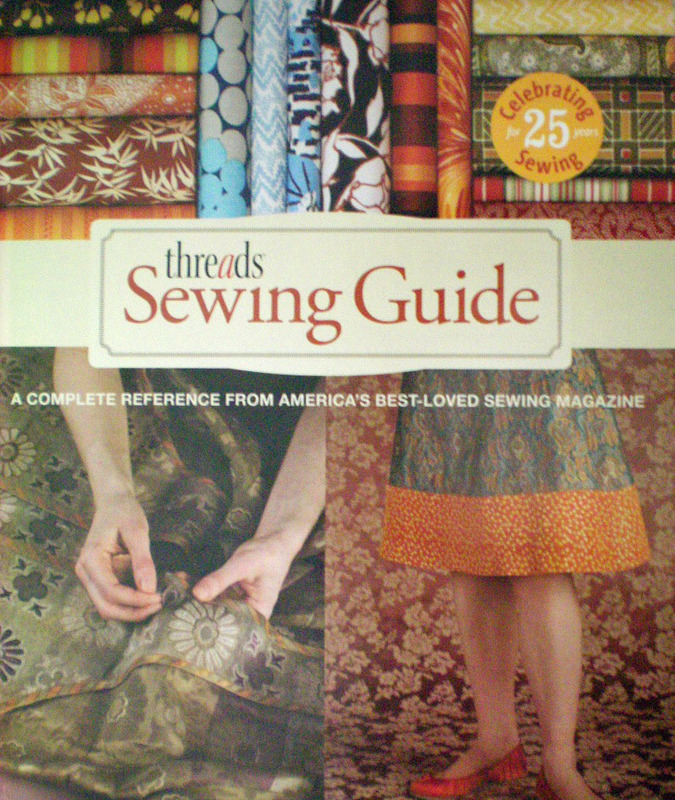 Have you read the Threads Sewing Guide? Did it teach you any new techniques? Was there anything you disliked about the book?